Are you planning to spend Winter Break in Boston with your kids and teens? Here are 10 fool-proof things to do in Boston with your family during February vacation that will keep everyone entertained, happy, and even a little tired by the end of the day. Boston's weather during February can be tricky - frigid and snowy one day, sunny and 50+ degrees by the next morning - so our suggestions give you a mix of outdoor and indoor attractions. Disney on Ice comes to Boston almost every year during February vacation week to put on a spectacular show on the ice at TD Garden. With a talented cast of amazing performers, your whole family will be mesmerized as the dancing and music bring all of your favorite Disney friends to life. Be prepared to enjoy every moment! For many families, coming to this event is a winter break week tradition! Tickets sell quickly, so don't wait to get yours now! At the New England Aquarium, your teenager can observe hands-on experience at the largest shark and ray touch tank on the East Coast. The giant turtle is cute too! Plenty of other exhibits provide enough to do to fill a whole day - especially with the giant IMAX theater next door. The Aquarium accepts the Go Boston card and Boston CityPASS for free admission - and no waiting in line for cardholders! 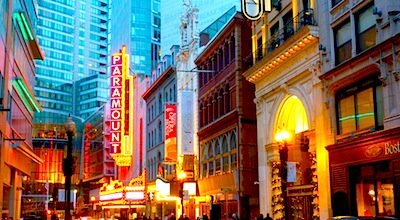 For a splurge, let your teen experience the excitement Boston's thriving Theater District by going to a matinée or evening show. With everything from Broadway to Disney to ballet - plus lots more - there's something for everyone. To make your teen feel really grown up, go for a meal before or after your show. 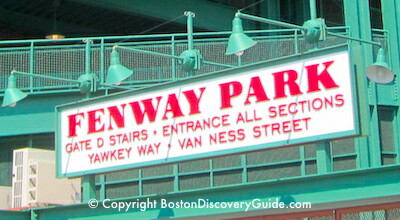 Even though the Red Sox don't start playing until April, you and your kids can get a fascinating behind-the scenes view of the famous ball park by going on a Fenway Park Tour. Get free tour admission when you have a Go Boston card. After the tour, stop by Bleacher Bar overlooking the field for a Fenway Frank, or walk over to Tasty Burger for the best shakes in town (try the "Green Monster"). Boston streets wind around a lot and change names when you least expect it. 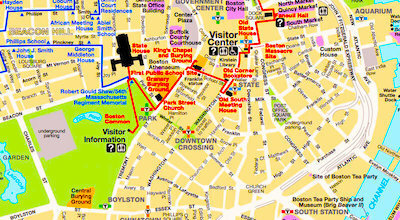 A good street and subway map will be your best friend when you visit Boston. Check out our recommendations for where to get the best free Boston maps showing streets and subway stations. Frog Pond on Boston Common turns into the city's most popular ice rink from November to March, thanks to its convenient location and a zamboni that smooths the ice every hour or so. Rates are reasonable, and you can bring your own skates or rent a pair right at the rink. Don't know how to skate? You can rent a "Bobby Seal" to hang on to while you learn how to stay on your feet. Enjoy hot chocolate at the rink's snack bar, or walk over to Chinatown for lunch after you finish skating. 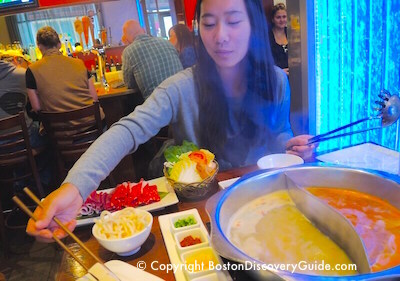 Head over to Chinatown, just a couple of blocks from the ice rink on Boston Common, for an affordable feast. Lining the streets are dozens, maybe hundreds, of Asian restaurants - not just Chinese but also Malaysian, Korean, Taiwanese, Japanese, Vietnamese, and Indonesian. 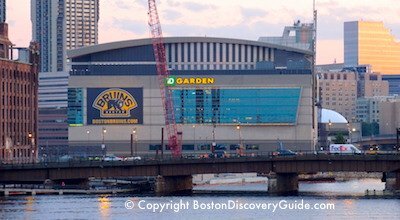 Between the Boston Bruins, Boston Celtics, Disney on Ice, and star-filled concerts, you'll find an event scheduled almost every night at TD Garden. For kids (and grownups), nothing beats the excitement of these big events in Boston's premier ice arena. Tickets are usually affordable, and the fun can't be beat! Visiting Boston Colleges during Winter Break? Tucked away in a high-rise parking garage on the western edge of Boston's elegant Back Bay neighborhood is Kings bowling alley. 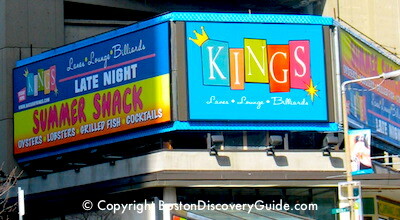 But Kings is not just any bowling alley - it's a premier entertainment center where Boston's sports celebrities stop by to show off their bowling skills and everyone else gathers to see and be seen. Top equipment, cool decor, sports-filled big-screens, and plush seating make it a popular 21+ destination in Boston's nightlife scene. 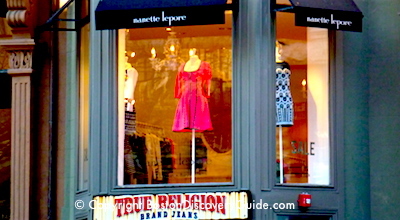 Let your teen step into the world of glitzy designer fashions on Boston's famed Newbury Street in Back Bay. Only about 8 blocks long, Newbury Street sports not only famous designers but also a good selection of affordable discount stores - try H&M for a combination of trendy with non-spendy. For more practical options, check out the many sports gear stores on Newbury and nearby Boylston. And great news: During winter break week in February, you'll find plenty of deeply discounted sale prices on Fall and Winter fashions. 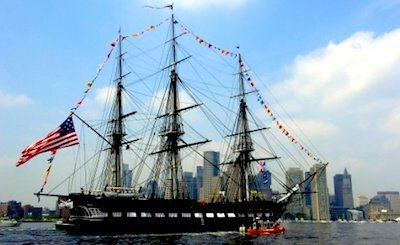 Take the MBTA Ferry from Long Wharf on Boston's Downtown Waterfront over to Charlestown and go on a free tour to explore Old Ironsides - a.k.a. the USS Constitution,a site on Boston's Freedom Trail. The active duty Navy crew members who serve as guides will entertain your teenagers (and you) with tales about the 200+ year old ship's history fighting Barbary pirates and defending America during the War of 1812. Even though it's school vacation week, your kids will learn some history without realizing it - and also have a great time. 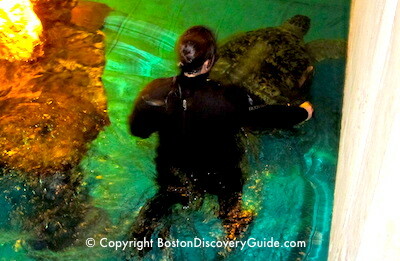 Fun indoor winter activities in Boston - Stay warm and have fun! 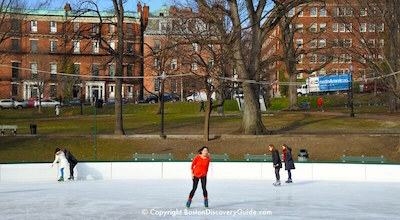 Fun outdoor winter activities in Boston - Embrace the cold!